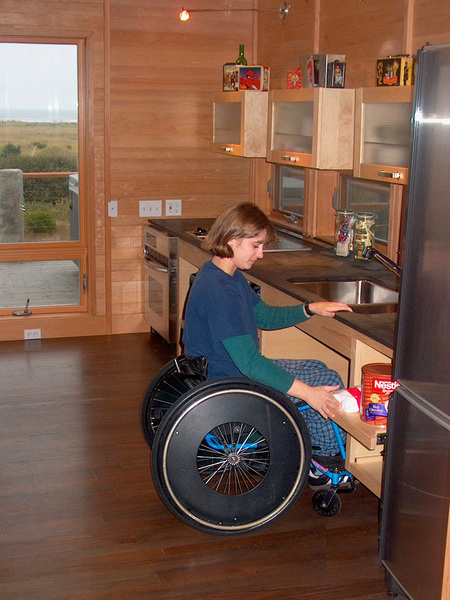 This beach cabin was designed for an active 25 year-old single woman who, due to an auto accident 10 years ago, is confined to a wheel chair. The dramatic and beautiful oceanfront property allows her to experience the beach with her friends and family without getting stuck in the sand. 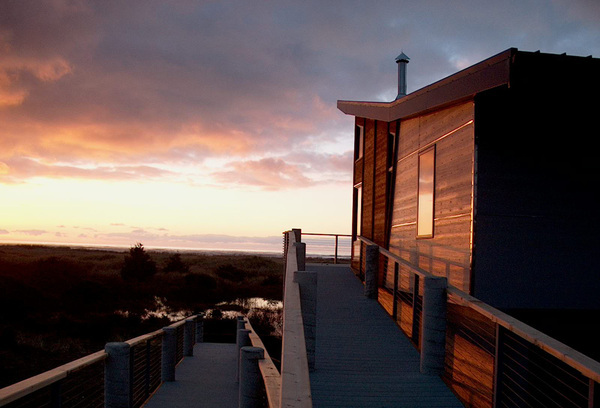 Due to shoreline setbacks, however, the only view to the ocean is from a raised level, so all main living functions are on the second floor with a ramp for access. A bunkroom on the ground floor allows her to have larger groups of friends or family stay overnight in this remote play place. The double-ended garages are locations for ping pong, games, and projects and for storing her car. The goal was to have a fun idiosyncratic play house with eclectic features: this was accomplished using nautical porthole windows, tin ceilings, slab walls, recycled materials and many other whimsical elements, while making it all easily accessible for someone who lives on wheels. When properly designed, a ramp will always be more appealing than stairs. A leisurely stroll up or down is perfectly consistent with beach life. 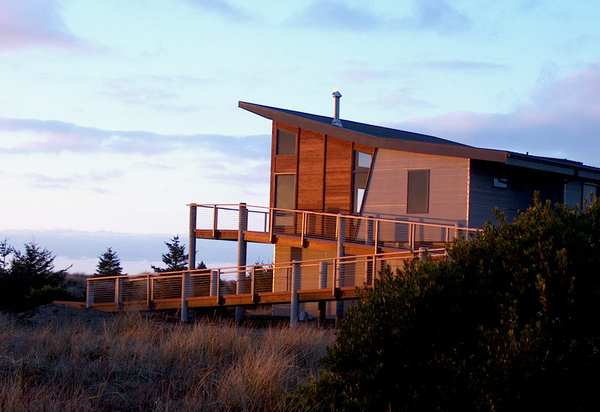 Conservation covenants kept the building well back from shore - an unexpected dividend was a sweeping view of wind-ruffled dune grass and sky. 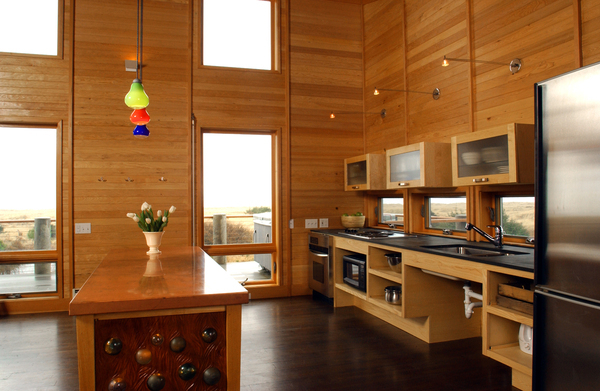 The interior features vibrant colors that enliven the house even on drab days.